JoJo's Bizarre Adventure originated as a Japanese manga beginning in the late 1980s, and has since become a beloved series in Japan. The original videogame came to America in 2000 for the PlayStation and Dreamcast, and it is now being re-released in HD similar to what was done for Street Fighter III: Third Strike Online Edition. Unlike that release, however, this version of JoJo’s Bizarre Adventure hardly seems like a drastic jump in quality. The game comes with an added online mode and visual filter, but at $20, it costs more than games like SFIII: TSOE or Skullgirls, and contains less features to boot! I do believe the only apt word to appropriately describe this game and its HD release is ... strange. 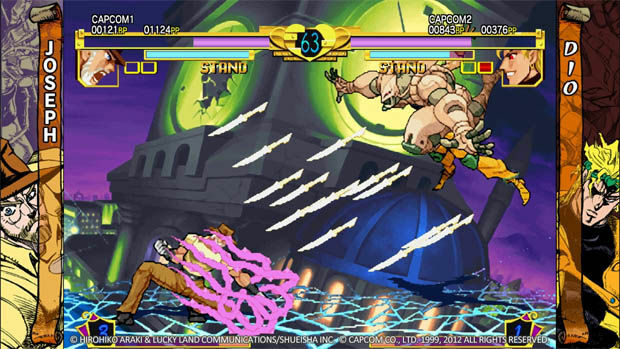 Each character in JoJo's Bizarre Adventure HD has a unique story, explored through the game's Arcade Mode. Some stories are incredibly bare-bones, with only a shred of information as to why those characters are here. Others, however, have full cutscenes and dialogue between fights to elaborate on exactly what is happening. The stories generally focus around the characters Jotaro and Dio and have you fighting either for or against them. The game lives up to its "bizarre" title, as some of the characters’ stories are straight out of the mind of a madman. It's really entertaining to see the better scenes and character interactions, and the large breadth of adjustable difficulties makes it a breeze to run through if you so desire. The characters truly are some of the most interesting designs to be seen in any game, let alone a fighting game. Almost every fighter has a Stand, or a spirit-thing that he can control. One character's stand, for example, is a shadow on the ground that he can direct to turn the other player into a younger version of himself, usually a toddler. If it helps, you can think of a character's Stand as his Persona. There are only a few similar characters, and those exceptions are often just different versions of an already playable character. Even if you don't have an attachment to the original manga, it's incredibly easy to fall in love with most of the design since it's so unique and interesting. Story mode is often pretty entertaining simply because of the characters involved. Also included is a Training Mode, which serves just as you might expect and incorporates a good amount of training options. There is also a Challenge Mode, though it is more like a Survival Mode than anything. After each fight in Challenge Mode, there is an option to restore some of the character's life or super meter, with the goal being to get as far as possible without losing. There are no online leaderboards for this mode, however, making it hardly worthwhile. The biggest addition to this re-release is easily the online play. 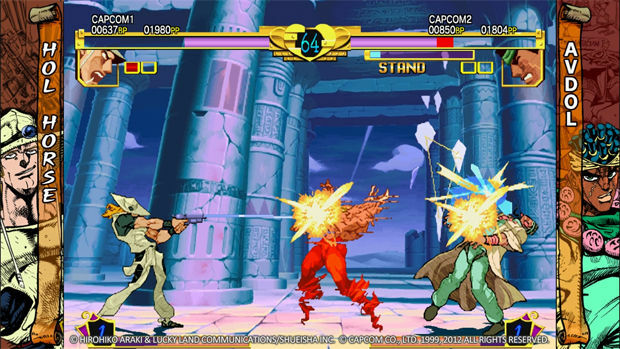 JoJo HD allows for ranked matches that accrue battle and player points in a similar fashion to Capcom's Street Fighter IV series, as well as player matches that don't affect the points at all. There's also a Spectator Mode for lobbies complete with replay saving. The online netcode, while nothing spectacular, was serviceable. The lag was noticeable in just about every fight online, regardless of whether or not the opponent was from America or Japan. That brings up a pretty big issue with the game: the player base. In my experience, it wasn't uncommon to look online and find absolutely no one to play against, especially around my skill level. 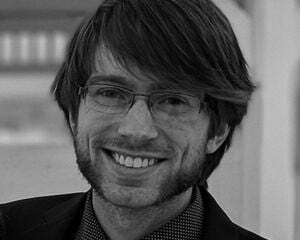 When I did find someone to play against, it was more likely to be someone from Japan rather than America. The community just doesn't seem to be there. The game also isn't the most balanced one out there, so expect to fight against a lot of the same characters, like Pet Shop. Overall, it's hard to say that the online play will stay as strong as some of the more prolific fighters, reducing the long-term experience that this game can offer. Now, about this so-called "HD" filter they have added. If you picked up SFIII: TSOE, you were likely surprised and excited by the amount of visual filters and options you had to play with. In JoJo HD, that is absolutely not the case. There is an option to have it display the original, pixelated sprites or to have the new HD filter on. The new look makes the art look more like it came from a comic, although there's some blur on the sprites. Personally, I think the new filter actually looks worse than the pixelated sprites, but at least both options are present. Also missing are things like screen size options, the challenges from SFIII: TSOE, and the Vault. It's curious as to why Capcom didn't put as much care into this HD port as they could have. It comes off as a soulless cash in, especially with the $20 price point. The actual fighting mechanics at the core of the game are great. There are four buttons: light attack, medium attack, heavy attack, and a Stand button. The attack buttons are pretty self-explanatory, but it's the Stand button that makes each character unique. 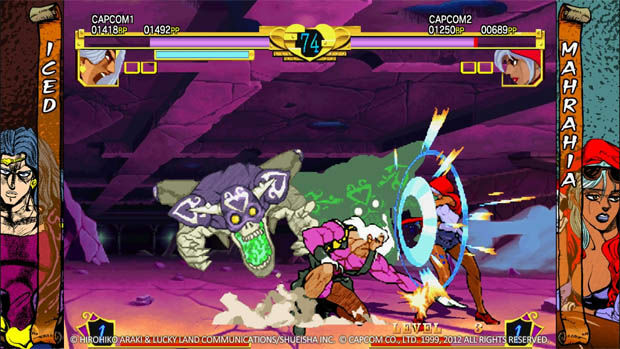 There are some characters that will transfer total control to their stand as they remain helpless on the side of the screen. Others' Stand button is only used when you want your Stand to attack. Some characters don't even have Stands, in which case the Stand button functions as another type of special move. 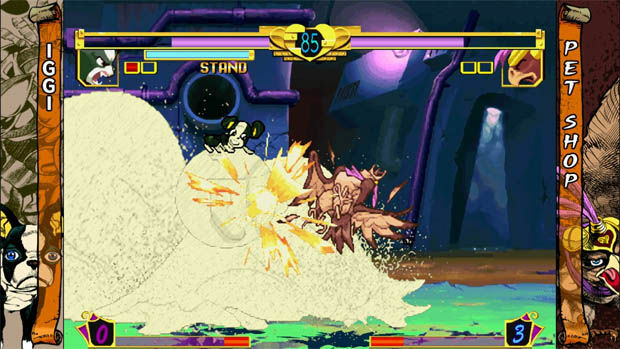 The characters that have their Stand on the screen with them have to worry about a Stand Break, which occurs when a player's Stand takes too much damage. The Stand's health is displayed in a bar on the screen and there will be visual warnings when the health is low. A Stand Break is a perfect opportunity to get in on your opponent and do some extra damage, although the Stands seem to regenerate incredibly quickly. The constant balance of managing both the character's health and its Stand's status makes each fight demand an extra level of attention from the player. Learning how each character moves and what they are capable of is worthwhile and almost necessary. 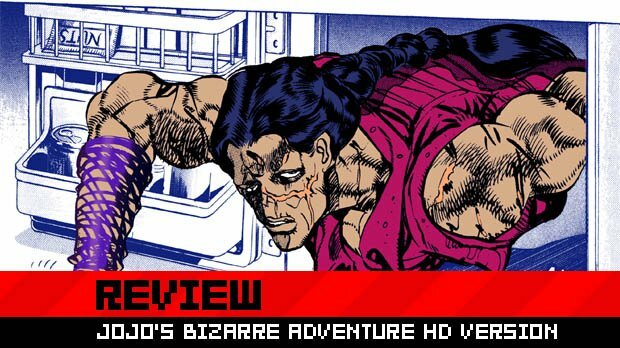 It's difficult not to recommend a game with solid fighting mechanics and incredibly unique characters, so I will: if you can, play the original PlayStation or Dreamcast version of JoJo's Bizarre Adventure. The addition of a single filter and an online mode are simply not worth the price of admission. The game's already slim community doesn't bode well for the future, either. The value proposition is just plain bad for JoJo's Bizarre Adventure. At $20, there are way better fighting games with way more polish for less money, making JoJo's Bizarre Adventure HD an incredibly hard sell. Given the rough edges, it feels more as if Capcom is trying to play off of the hype from the upcoming new JoJo's game which is currently in development, rather than give a nod to a classic. If you have a strong nostalgic connection to it and an insatiable need to play JoJo's Bizarre Adventure online, then you only have one option. It is, at least, still fun to actually play once you get past what’s missing.